Per the 2013 OWASP Top 10, XSS is still #3 on the list. 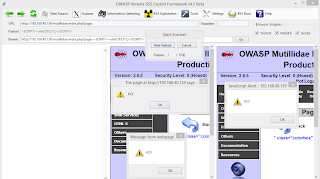 As such, good tools for assessing web applications for XSS vulnerabilities remain essential, and OWASP Xenotix XSS Exploit Framework fits the bill quite nicely. Ajin Abraham (@ajinabraham) is Xenotix’s developer and project lead; his feedback on this project supports the ongoing need for XSS awareness and enhanced testing capabilities. According to Ajin, most of the current pool of web application security tools still don't give XSS the full attention it deserves, an assertion he supports with their less than optimal detection rates and a high number of false positive. He has found that most of these tools use a payload database of about 70-150 payloads to scan for XSS. Most web application scanners, with the exception of few top notch proxies such as OWASP ZAP and Portswigger’s Burp Suite, don't provide much flexibility especially when dealing with headers and cookies. They typically have a predefined set of protocols or rules to follow and from a penetration tester’s perspective can be rather primitive. Overcoming some of these shortcomings is what led to the OWASP Xenotix XSS Exploit Framework. Xenotix is a penetration testing tool developed exclusively to detect and exploit XSS vulnerabilities. Ajin claims that Xenotix is unique in that it is currently the only XSS vulnerability scanner with zero false positives. He attributes this to the fact that it uses live payload reflection-based XSS detection via its powerful triple browser rendering engines, including Trident, WebKit and Gecko. Xenotix apparently has the world's second largest XSS payload database, allowing effective XSS detection and WAF bypass. 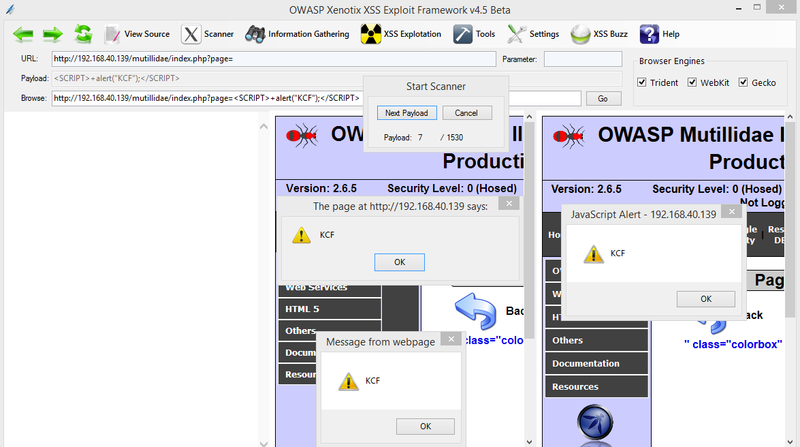 Xenotix is also more than a vulnerability scanner as it also includes offensive XSS exploitation and information gathering modules useful in generating proofs of concept. 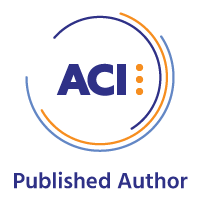 For feature releases Ajin intends to implement additional elements such as an automated spider and an intelligent scanner that can choose payloads based on responses to increase efficiency and reduce overall scan time. He’s also working on an XSS payload inclusive of OSINT gathering which targets certain WAF's and web applications with specific payloads, as well as a better DOM scanner that works within the browser. Ajin welcomes support from the community. If you’re interested in the project and would like to contribute or develop, feel free to contact him via @ajinabraham, the OWASP Xenotix site, or the OpenSecurity site. Xenotix installs really easily. Download the latest package (4.5 as this is written), unpack the RAR file, and execute Xenotix XSS Exploit Framework.exe. Keep in mind that antimalware/antivirus on Windows systems will detect xdrive.jar as a Trojan Downloader. Because that’s what it is. ;-) This is an enumeration and exploitation tool after all. Before you begin, watch Ajin’s YouTube video regarding Xenotix 4.5 usage. There is no written documentation for this tool so the video is very helpful. There are additional videos for older editions that you may find useful as well. After installation, before you do anything else, click Settings, then Configure Server, check the Semi Persistent Hook box, then click Start. This will allow you to conduct information gathering and exploitation against victims once you’ve hooked them. 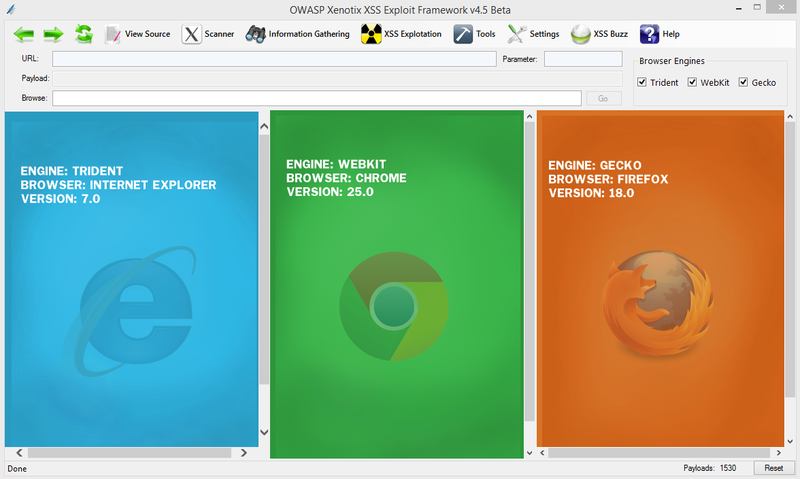 Xenotix utilizes the Trident engine (Internet Explorer 7), the Webkit engine (Chrome 25), and the Gecko engine (Firefox 18), and includes three primary module sets: Scanner, Information Gathering, and XSS Exploitation as seen in Figure 1. We’ll walk through examples of each below while taking advantage of intentional XSS vulnerabilities in the latest release of OWASPMutillidae II: Web Pwn in Mass Production. We covered Jeremy Druin’s (@webpwnized) Mutillidae in August 2012’s toolsmith and it’s only gotten better since. These steps assume you’ve installed Mutillidae II somewhere, ideally on a virtual machine, and are prepared to experiment as we walk through Xenotix here. Let’s begin with the Scanner modules. 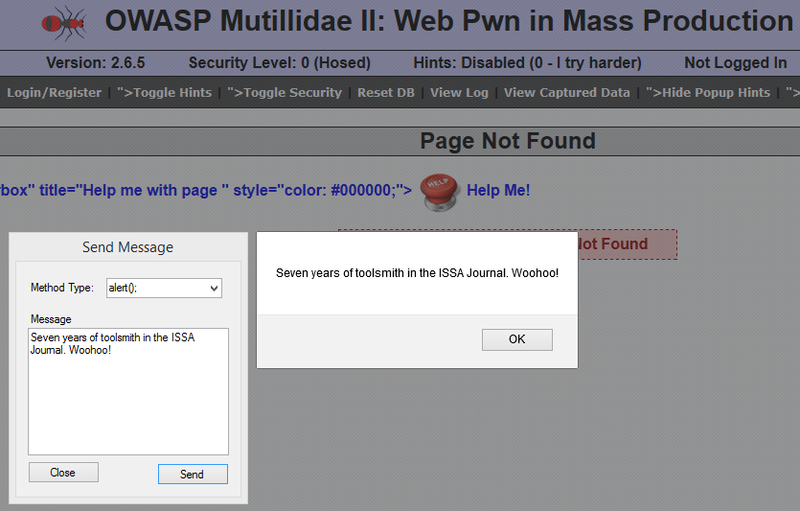 Using Mutillidae’s DNS Lookup under OWASP Top 10 à A2 Cross Site Scripting (XSS) à Reflected (First Order) à DNS Lookup. The vulnerable GET parameter is page and on POST is target_host. Keep in mind that as Xenotix will confirm vulnerabilities across all three engines, you’ll be hard pressed to manage output, particularly if you run in Auto Mode; there is no real reporting function with this tool at this time. I therefore suggest testing in Manual Mode. This allows you to step through each payload and as seen Figure 2, we get our first hit with payload 7 (of 1530). You can also try the XSS Fuzzer where you replace parameter values with a marker, [X], and fuzz in Auto Mode. The XSS Fuzzer allows you to skip ahead to a specific payload if you know the payload position index. Circling back to the above mentioned POST parameter, I used the POST Request Scanner to build a request, establishing http://192.168.40.139/mutillidae/index.php?page=dns-lookup.php as the URL and setting target_host in Parameters. Clicking POST then populated the form as noted in Figure 3 and as with Manual mode, our first hits came with payload 7. You can also make use of Auto Mode, as well as DOM, Multiple Parameter, and Header Scanners, as well as a Hidden Parameter Detector. Again, entirely accurate. The Information Gathering modules also include WAF Fingerprinting, as well as Ping, Port, and Internal Network Scans. Remember that, as is inherent to its very nature, these scans occur in the context of the victimized browser’s system as a function of cross-site scripting. 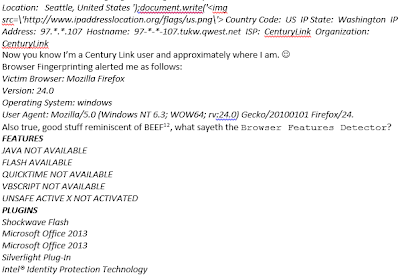 I sent my victim browser a message as depicted in Figure 4 where I snapped the Send Message configuration and the result in the hooked browser. Message boxes are cute, Tabnabbing is pretty darned cool, but what does real exploitation look like? I first fired up the Phisher module with Renren (the Chinese Facebook) as my target site, resulting in a Page Fetched and Injected message and Renren ready for login in the victim browser as evident in Figure 5. Note that my Xenotix server IP address is the destination IP in the URL window. But wait, there’s more. When the victim user logs in, assuming I’m also running the Keylogger module, yep, you guessed it. Figure 6 includes keys logged. Assuming the victim happily accepts the add-on installation request (nothing a little social engineering can’t solve), you’ll have system level access. This makes pentesters very happy. There are even persistence options via Firefox add-ons, more fun than a frog in a glass of milk. While this tool won’t replace proxy scanning platforms such as Burp or ZAP, it will enhance them most righteously. Xenotix is GREAT for enumeration, information gathering, and most of all, exploitation. 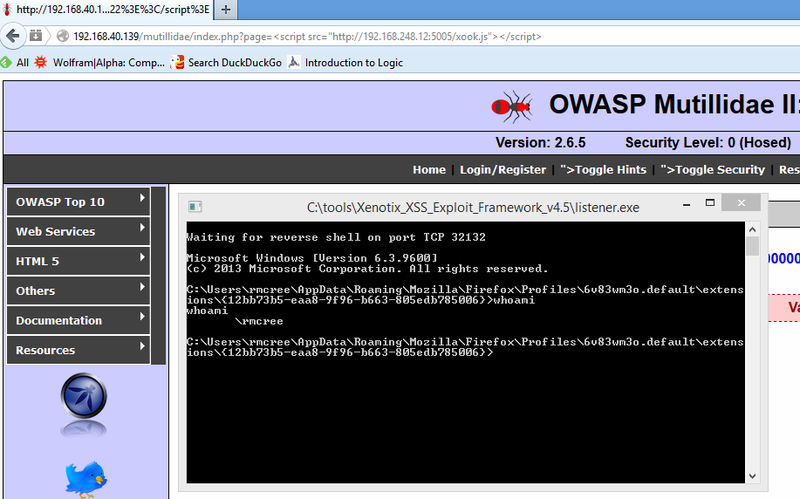 Without question add the OWASP Xenotix XSS Exploit Framework to your arsenal and as always, have fun but be safe. 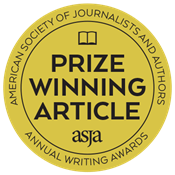 Great work, Ajin, looking forward to more, and thanks to the voters who selected Xenotix for this month’s topic. If you have comments, follow me on Twitter via @holisticinfosec or email if you have questions via russ at holisticinfosec dot org. Hi! I wonder if you know: 1) how much it take to Xenotix to perform an attack? 2) which of all its exploiting vulnerabilities strategies is the best? 3) can I have more than one exploit proccesses working at the same time? Hoping these will answer your queries. 1. What are you referring to? The Scanner Module to detect XSS or the Exploitation Module for performing the attack. Detecting XSS on a web application depends on the payloads and the type of filters or WAF's it uses. And when considering the Exploitation Module, you can perform an attack as long as you can xook a victim. 2.That depends. 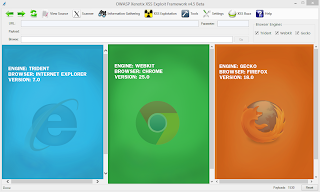 Some exploitation modules are operating system or browser dependent. So you could select a module based on your requirements and suitable for the platform or browser. 3.Some modules of the Exploitation Framework can work parallel and some cannot. You can check and verify this by opening the xss.js file while you run the Exploitation Framework. By any chance do you know if the OWASP guys have a linux port of this? would be nice to include in kali.